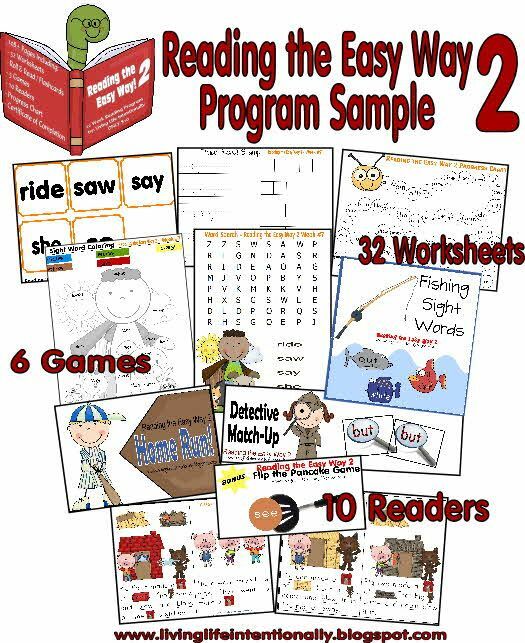 12 Week Reading Program based on the Kindergarten Dolch Sight Words. It includes over 100 pages including: lesson plans, 32 worksheets, 4 games, 10 readers, plus activities. The repitition of these words while using fun activiites like word searches, color by sight word, swat the sight word, and more will help your child to quickly master the words and create the confidence and knowledge they need to read!